Women are the subject of less than 30 percent of biographies on Wikipedia, and RIT Libraries is seeking the community’s help to improve gender equity on the internet’s leading source of information. 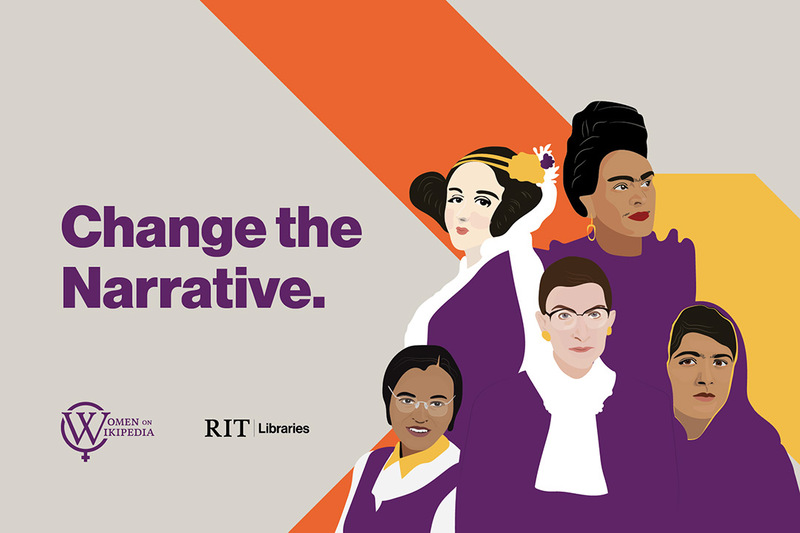 RIT Libraries will host its third annual Women on Wikipedia Edit-a-thon from 2 to 8 p.m. on March 22 at Wallace Library on RIT’s campus, in honor of Women’s History Month. No experience is required to participate. RIT students and staff will offer basic training on how to edit a Wikipedia entry, then provide participants with an entry in need of editing to help them get started. Kari Horowicz, art and design librarian and one of the event’s organizers, hopes participants will improve entries about notable Rochester women. The efforts of the past two edit-a-thons have improved more than 300 Wikipedia entries about women. Organizers hope to surpass that number this year. NTID Department of Cultural and Creative Studies, Deaf Women of Rochester, RIT Division of Student Affairs, and RIT Digital Humanities and Social Sciences. Donations of personal care and menstrual hygiene products will be collected for the Sojourner Home, a shelter for homeless women and children, and RIT’s Center for Women and Gender. For more information about the event, contact Sara May at sara.may@rit.edu or 585-475-2478.